Does Your Basketball Training Plan Monitor Your Sleep? You know those mornings when you feel like you got out of bed on the wrong side so to speak? This is a result of not getting enough deep sleep during the night to promote full relaxation which typically sets a tired tone for the day. It’s a known fact that sleeping is an essential daily activity needed to maintain excellent health and well-being. If this is the case, then why are so many of us putting getting enough rest every night towards the end of our priority list? It just doesn’t make sense. Did you realize that 40 million people in the United States are currently suffering from some form of ongoing sleep disorder while 62% are not getting enough quality sleep at least a few nights each week? Sleeping plays a vital role in several functions of the body including learning, memory, and immune function as well as being one of the greatest remedies for stress. Making more time for sleep each night can make a huge difference not only for your health but also for success in life with your family, school, job, and basketball performance. Basketball players need extra quality snooze time to help the body and mind cleanse, repair and regenerate for the next workout, practice or game. However, it’s too often that players are running on less than the ideal amount of sleep due to late nights after games, traveling during season, early practices and other major responsibilities like school or family. Dr. Czeisler suggests that players getting adequate rest can be more decisive and confident of their performance quality, and this factor is even more important than that extra hour of practice or time spent watching film in some cases. He believes that playing on little sleep is like playing with one hand tied behind your back due to delayed reaction time and decreased bodily awareness — maybe you’ve felt that way during a practice or game before. In fact, there’s a good chance that you have experienced a lagging performance due to exhaustion considering that 7 out of 10 athletes are currently not getting enough ‘Z’s’ on a regular basis. It’s important to realize that whether you get plenty of quality, uninterrupted sleep every night or not is going to directly affect your learning ability during practice and your performance on game day! Don’t let something as enjoyable and refreshing as sleep become an obstacle for you to becoming the best basketball player possible. We now know that both the mind and body are negatively impacted by sleep debt, and the main concerns for basketball players because of sleep deprivation are a decline in the hormone testosterone, decreased coordination, mobility, agility, focus, mood and energy. Testosterone is mostly known for benefiting the male reproductive system, however it is also key to building strong muscle mass, maintaining a healthy body fat percentage, bone density, vigor and vitality. It’s obvious how all of these factors have a direct effect on the level of your performance on the court. Along with a decline in testosterone levels, sleep deprived basketball players will experience decreased hand and eye coordination causing their shot to be off or their passes to be just a little bit too slow. Mobility and agility are also impacted and lessened, which in turn could have a negative effect on basic basketball moves like sprinting, cutting, defensive sliding, blocking out and jumping for rebounds. Finally, a drop in focus, mood and energy certainly won’t turn you into a basketball champion. When you lack these things consistently it’s safe to say that you might just find yourself on the bench rather than guarding the other teams’ best player or taking the game winning shot! How much Sleep is Enough For Basketball Players? It’s recommended that children ages 5-12 get about 11 hours of sleep per night, teens get at least 9 hours while adults need to focus on capturing 8 hours of uninterrupted sleep each day. In a recent survey conducted by the Better Sleep Council, 73% of adults are getting only 7 hours or less of sleep each night. In time, you become so far into sleep debt that the only remedy is to begin getting at least 8-9 hours for several consecutive nights. As a basketball player, you must take these numbers seriously, because each night that you don’t get enough rest you are compromising your physical effectiveness and abilities out on the court. Players should get up to at least 9 hours on nights after games, long practices or intense workouts. Practice relaxation rituals before bed – whether you take a warm bath with Epsom salts, read a book, use a heating pad or write in a journal, try to find a low-key activity each night that helps you to start winding down and preparing for sleep. Stick to a sleep schedule – the body likes routine, so it’s best to try and plan your day around your sleep cycles. Go to bed and wake up each day as close to the same time as possible. Check your sleeping environment – ensure that the environment you are sleeping in is ideal for deep, restful sleep. A comfortable mattress, clean sheets, cooler temperature and dark room are all best to promote a good night’s slumber. Eat light at night – don’t wait until an hour or so before bed to eat a heavy meal. Instead, stick to light snacking preferably with foods high in easily digested proteins and complex carbs like oatmeal or quinoa. Drink herbal teas – a cup of warm tea can do just the trick to take you from an energetic mood to one ready to pull up the sheets and sleep. Try calming, caffeine-free herbal teas that have lavender, chamomile, hops, peppermint, spearmint, holy basil (tulsi), catnip, valerian root, lemon verbena and passionflower. Try aromatherapy – aromatherapy can trigger chemical reactions in the body that promote relaxation. Putting a diffuser in your living room or next to your bed with calming essential oils like lavender, peppermint, cedar wood, rose and sandalwood can set the tone for a peaceful night. Give yourself a light massage – you can also use essential oils for massage therapy which promotes relaxation by mixing them with a carrier oil like almond or jojoba. Take time to rub the achy parts of your body then follow with a heating pad or ice pack depending on whichever feels best. Reduce or eliminate your caffeine intake – consistent use of synthetic and acidic caffeine like coffee, soda, commodity sports supplements that you find on the shelves of stores and even poor quality teas can lead to an overstimulated nervous system making it very difficult to relax when you need to most. You don’t have to cut out all caffeine, just be sure to only use caffeine that is from high-quality teas and specialty sports supplements that use caffeine from plant sources like guarana seed extract from the Amazon rainforest, which is gentler on the nervous system. Also, don’t consume caffeine in the late afternoon or early evening which can lead to restlessness at bedtime. If you’re someone who has depended on these bad caffeine sources for a long period of time, it would be wise to detox your body from it and go completely without it for up to 4 weeks or more. Cut off the electronics – excess mental stimulation is part of our fast paced, technologically based society. Unfortunately, too many people are winding down their days to a cell phone screen or movie which actually prevents the body and mind from settling into a deep state of relaxation needed to cleanse, repair and regenerate. Swap out Facebook and the cell phone for a book or word puzzle and you’ll find yourself sailing off to dreamland in no time. Ask your doctor about food and plant-based supplements to boost serotonin levels – in many cases, the inability to truly relax and achieve proper sleep is due to vitamin and mineral deficiencies. Eating a healthy diet is great, but due to the lack of minerals in our overworked and depleted soils today, we are not getting everything we need from “healthy foods” like we used to even just 20 years ago. This is where food and plant-based supplementation can really help the body to supercharge its nutrient stores and help you sleep better. A multi-mineral supplement that has calcium, magnesium, potassium, sodium and other key minerals are known to promote a healthy central nervous system which leads to relaxation. Noni, an exotic super fruit from the Pacific Islands, has been shown to support the production of the neurotransmitter serotonin in the body which helps the body to begin to naturally relax once the sun goes down. Tart cherry juice concentrate is another food-based supplement that can help to build natural melatonin stores in the body rather taking synthetic versions of it which has shown to be less effective overtime. Finally, valerian root and lemon balm are a great duo that are widely known for promoting healthy consistent sleep. There’s certainly no question that if you work on getting better sleep each night you’re performance on the basketball court and in life will improve. Who couldn’t use better memory, learning, focus, moods, energy, coordination, agility, speed and strength? The best basketball players in the world are focusing on proper rest and relaxation every day which is why you should too if you want to take your game to the next level. Sometimes you need to put down the ball and take off your sneakers and simply snuggle up in bed and get to snoozing overtime! 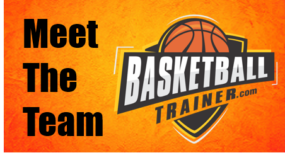 Connect with a local basketball trainer to help you optimize your basketball training.